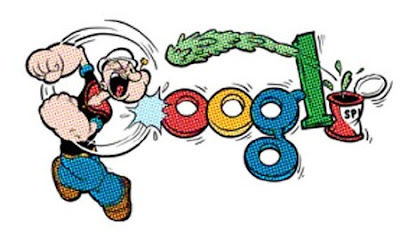 Google's main page illustration right now is Popeye, because today is the 115th birthday of E. C. Segar, the creator of Popeye. Neato! The 80th anniversary of the spinachy sailor is coming up in January as well (the 17th, to be precise). I used to watch Popeye cartoons all the time when I was a kid, although I admit I've never read the strips. At least there are some nice archival collections out there now to catch yourself up. Do kids even know who Popeye is any more? Do they still show those cartoons? 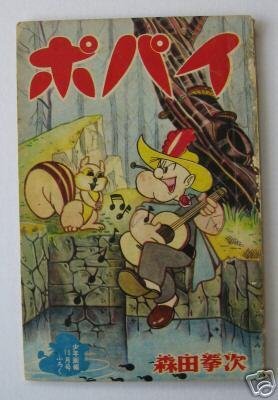 Or do they just know it from like, Popeye manga? Super Action Alchemist Sailor Popeye!